During this year’s Rio Olympics, a recurring theme has been “Go For Gold”. You’ve probably seen this in Coca-Cola commercials, GE’s “Geeks Go For Gold” competition to be the best coder, or even with Miley Cyrus’ Gold Party. While gold is always a trending theme when it comes to the Olympics, this year’s theme captures the “feeling” of winning every day victories and how anyone can “Go For Gold”. 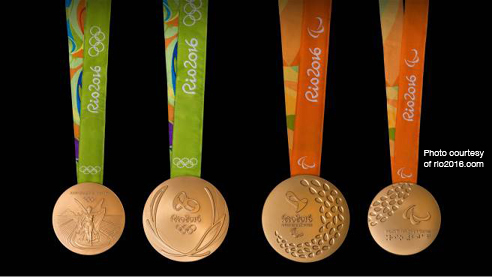 Besides being the best of the best in a sport, what does Go For Gold mean to you? To us, it means being the best of the best in our industry. And that means knowing what makes us distinct and how we stand out. Do you know what makes you distinct and how you stand out from the competition? Your distinct advantage is not just what makes your product or service different, it’s what makes your company different — and what your company stands for and why its in business. It is the unique combination of gifts, experiences, culture, stories, skills and inclinations that make up who you are and what you do in ways that your competition doesn’t, can’t and won’t. In the process of creating communications (marketing messages) about its products or services, it’s typical for a company to overlook “authenticity” in favor of things that they believe are more attention grabbing—flashy product features, showy design elements and clever messages. And yet authenticity is the very thing that helps build relationships and keep customers coming back again and again. Instead of trying to be all things to all people, your purpose and your distinct advantage help you and your business get “pointy”—more focused on who you are and what you’re in business to do. Do you stand out from the competition? Take the Brand Traffic Control Assessment and find out. © Copyright 1990 – 2016 TwinEngine. All rights reserved.